Sharon Tate’s sister Debra, probably best known for attending every single parole hearing related to the murder of her sister, has something to say—frequently. She famously said last year that Jennifer Lawrence was not pretty enough to play her sister in Quentin Tarantino’s (still after this week?) upcoming Manson-oriented flick. 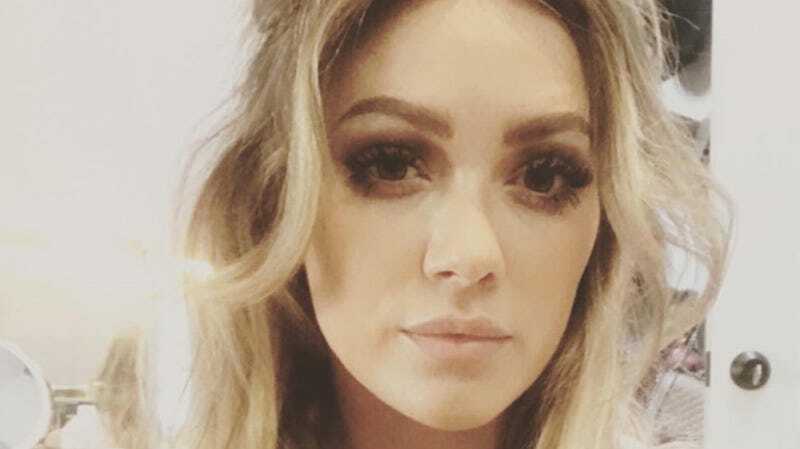 And now she’s back with her take on the recently announced The Haunting of Sharon Tate, in which Hilary Duff will star as the slain Tate. “It’s classless how everyone is rushing to release something for the 50th anniversary of this horrific event,” she said. Sharon Tate and four others were killed by Manson Family members in and around her home in the early morning of August 9, 1969. I know for a fact she did not have a premonition — awake or in a dream — that she and Jay would have their throat cut. I checked with all of her living friends. None of her friends had any knowledge of this. Tacky, tacky, tacky. Tate, who says she owns the rights to Sharon’s likeness, also intimated that she hasn’t spoken to anyone involved in the production of The Haunting of Sharon Tate.